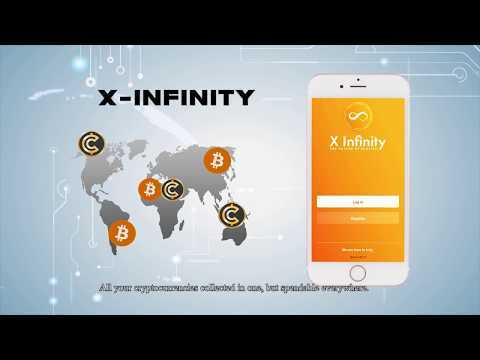 X-infinity Limited is a innovative FinTech company that develops a secure Cryptocurrency Wallet, where you can keep all your Cryptocurrency Assets together. The Wallet is linked to a personalized Debit Card, which you can spend at any intentional retailers that accepts debit cards and also allows for International ATM cash withdrawals. X-infinity's main goal is to provide a solution where ALL your Cryptocurrencies are Collected in ONE wallet but Spendable EVERYWHERE. This state-of-the-art technology allows Blockchain Assets not only to be available to industry insiders, but rather something that can be used by ANYONE in the “real” world. Unlike other ICOs, X-infinity product is ready to be launched by Q3 2018. XINFINITY is creating a unified cryptocurrency wallet that allows consumers and merchants the ability to transact as easily using any blockchain asset as a currency. XINFINITY plans to have a technology solution that is frictionless for consumers to adopt and for merchants to implement. XINFINITY leverages the power of the smartphone and blockchain to deliver a compelling, secure and scalable consumer experience. Eddie has an excellent advisory team and a young and vibrant operations team. They are on the ground and doing lots of effective offline marketing. Product is simple and is live and working. Great for 2018 work. I look forward to more upgrades to meet the new demands of 2019 and beyond. Areas of improvement is to look to engage an international marketing team to bring XInfinity to the rest of Asia and then to the world. To help boost the already strong Asian focus advisory team is to look outwards to creditable Advisors for a more international outlook. XInfinity is capable of achieving lots more. good luck!